You can see your balance and change your password in the top right. Click on [SMS] - [Create SMS] to send an sms. 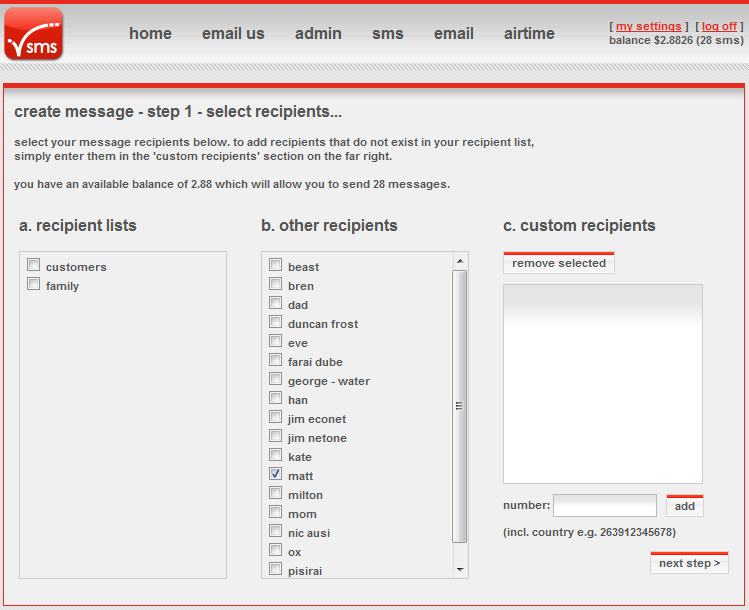 Use premade groups, recipients or add a custom one off recipient. Then click [Next Step]. You can setup your groups and contacts in the Admin section. Enter your message, you can see how many parts it is under the text area. Click [send]. Your message has been sent and you are shown details. Click [View delivery status] for see even more details. 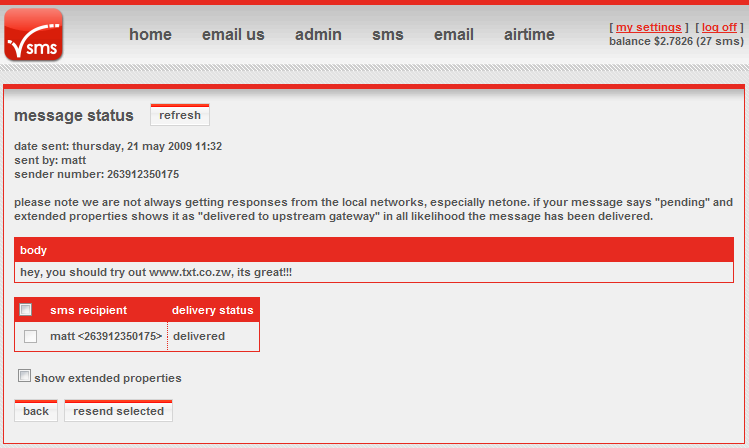 This shows the extended details and the delivery status of each number.